Our little Brie is all growed up. Seems like only yesterday she was emailing me in a panic because Kiwi wanted to get married in a custom tuxedo with electric blue piping. You see what happens when you stay out of their way? No electric blue in sight. 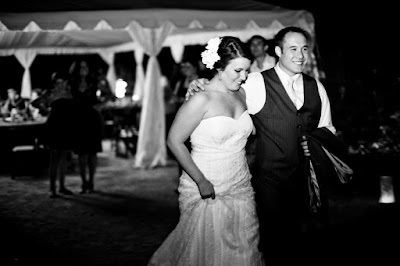 Why was our wedding the most rad ever? I guess it all started when Kiwi and I got engaged in New Zealand, almost exactly one year ago! We couldn’t wait to get home and get the planning going. Instinctively we knew that a hotel or church venue wasn’t the right fit for us… We were far more drawn to the outdoor setting. 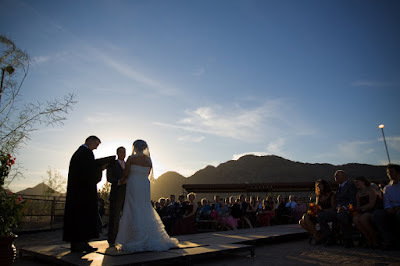 My parents have a horse ranch here in Arizona that backs to a mountain preserve and we thought it would be the perfect place to have our wedding. Little did we know, getting the site ready would involve hours of planting trees, renting tractors and general manual labor! In the end, everything came together perfectly. 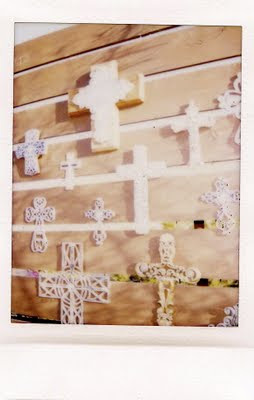 My girlfriends and I built the backdrop for the ceremony after seeing a feature about wood staining on HGTV. I collected saint candles from a local church to use as décor for the reception and old bottles of patron tequila to serve as vases for the flowers. Really, the only other decorations were luminarias we placed around the property to light the path of the guests. We wanted to focus on the natural beauty of the mountains. Before the ceremony started we passed out champagne cocktails for the guests. 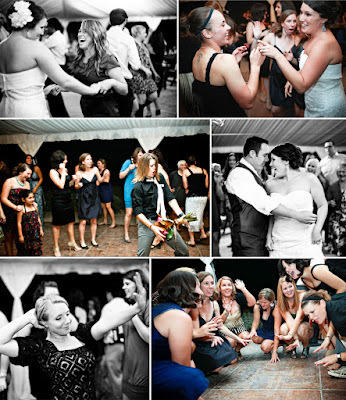 Weddings hardly ever start on time and we wanted everyone to enjoy themselves while they waited. Kiwi looked so handsome as I practically sprinted down the aisle to him… He custom ordered his suit through Hillcrest & Hamilton, the menswear company he owns with his brother. Our ceremony was officiated by a very dear family friend that I’ve known since childhood. The crowd burst out laughing when he told the story of how Kiwi and I met when we were both playing rugby. Definitely not your typical courtship story! 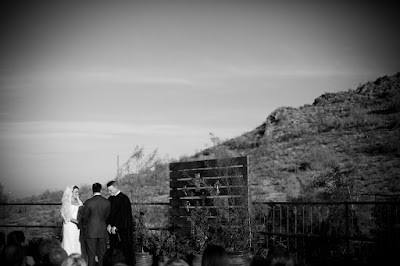 The ceremony ended just as the sun was starting to set and it couldn’t have been more beautiful. We took most of our photos beforehand so we could get right to the party! We made a quick stop by the photo booth (the pictures doubled as guestbook entries) and then it was off to the reception. My friends and I had made a giant batch of sangria the night before and it was gone almost immediately. Luckily, Kiwi had stocked up on Dos Equis, Corona and Sol. I made sure we had Coca Cola in glass bottles for the kiddos, made with real cane sugar, none of this high fructose corn syrup business. Dinner was catered buffet style, by a local restaurant called Blue Adobe. They served chicken empanadas, green chile pork tenderloin and an amazing shrimp and lobster dip. When Kiwi and I were walking around I saw people forgoing the tortilla chips altogether and just eating it with a spoon! We served everything on these awesome compostable dinner plates made from fallen leaves. I actually found them through a wedding featured on ESB, thanks Joy! For dessert we served lemon bars from The Deli, a restaurant in town that specializes in local and organic ingredients. Kiwi and I decided to skip the typical wedding cake and we cut into a sweet little Bundt number we topped with extra flowers from the reception. It was the perfect end to a delicious meal. The reception was an absolute blast. We had family fly in from Singapore, New Zealand, Canada and Mexico. Add our respective rugby teams to the mix, and you’ve got yourself a party. My Puerto Rican grandma taught everyone to Salsa and a few of the rugby girls showed us how to do the worm. It doesn’t get much better than that. I can’t stress how important it is to just stop and enjoy your own wedding. Kiwi and I had an amazing time eating, drinking and dancing with our family and friends. At the end of the day, you’re married to your best friend… and that is the most wonderful feeling of all. i love happy real weddings. these photos gave me shivers! gorgeous. 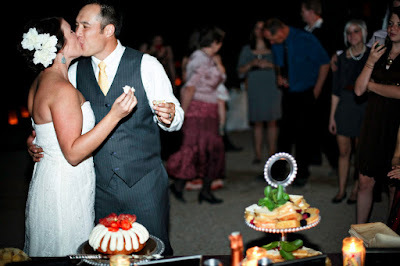 seriously gorgeous wedding. look at how happy she looks... my heart is crumbling. AMAZING. Stunning. Simply gorgeous. And then to the wedding, and not just my precious Breezy. 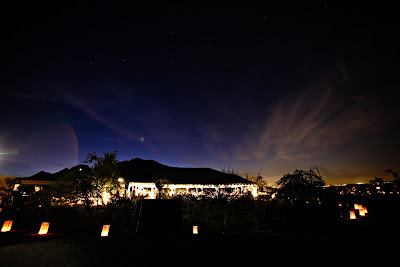 Not one detail was overlooked, and at the end of the day she was able to say that she had transformed the horse ranch into the perfect place for their wedding. Brie did an amazing job, and she deserves every bit of happiness that the day brought her. I heart HER (more than words can say). both she and kiwi looked amazing, and i LOVE how they relied on the mountains instead of decorations- how it should be. as amazing as the pictures are (& they are incredible) they still don't do that night justice. 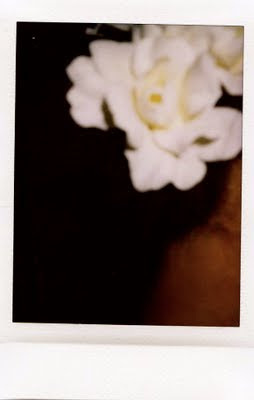 as attendee, instax-picture-taker, and overall fan of the whole event, in my totally biased opinion this evening was perfect. the couple were in every detail and that made for one hell of a night. i wish we could do it every year. This was not your typical "outdoor ranch" wedding. It was the best mix of class and the pure beauty of nature. The little touches made this wedding adorable and perfectly "Briwi". Their vision came together before our eyes. I couldn't imagine a more perfect wedding for the two of them! Lovely, lovely, lovely. Happy and fun and gorgeous all at once! And I once heard someone say that only a beautiful woman can pull off a mantilla; Brie is total proof. STUNNING. Holy smokes! 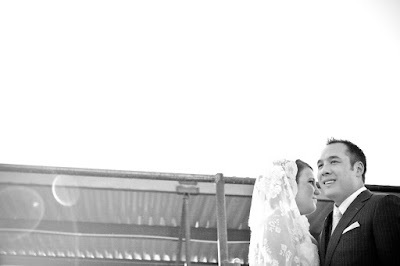 The Briwi wedding was downright gorgeous! 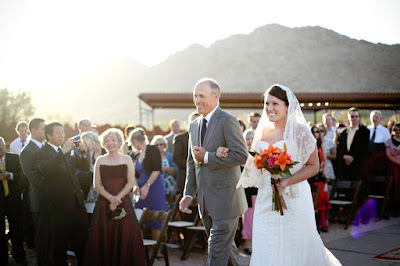 I think outdoor weddings are simply divine - especially for Arizona's autumn weather. Brie - you did a fantastic job! Everything was so original and you. ps. The mantilla kills me. It was perfect. and LEMON BARS?! holy crap. 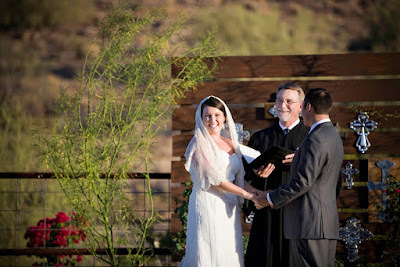 Hurray for Arizona horse ranch weddings! so pretty. and? i could eat my weight in some lemon bars. Oh, yay. Lovely, happy, real. Exactly what I'm hoping for. By the way, thank you for noting the dishes. I saw them in Joy's photo, and thought, "Rad. Rustic wooden dishes. Probably tougher to find/pay for than rental china..." I am so going to check them out. I am delighted to accept the blame for making the original introduction !!!! i know that this is random.. but just wondering.. are you planning on having kids? Beautiful!! Gorgeous dress, setting everything! Seriously lovely! I knew she'd be stunning...but WOW. 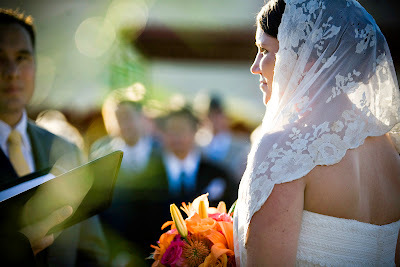 The mantilla...I'm speechless! they couldn't look happier. so thrilling!